A CT Scan of the Chest is used to diagnose various chest conditions, such as lung diseases, pneumonia, TB, lung cancer, injury to the ribs, etc. A CT Scan of Chest is used to diagnose various chest conditions, such as lung diseases, pneumonia, TB, lung cancer, injury to the ribs, etc. The Computed Tomography - Chest scan procedure involves the chest area. Why is the Computed Tomography (CT) scan of the Chest radiology procedure Performed? There have been no recent advances to replace the Computed Tomography - Chest procedure. What is the Cost of Performing the Computed Tomography (CT) scan of the Chest radiology procedure? The cost of a CT Scan of Chest procedure depends on a variety of factors, such as the type of your health insurance, annual deductibles, co-pay requirements, out-of-network and in-network of your healthcare providers and healthcare facilities. It is normal for a patient to feel uncomfortable and confused with a sudden inflow of information regarding Chest CT scan procedure and what needs to be done. How does the Computed Tomography (CT) scan of the Chest radiology procedure work? How is the Computed Tomography (CT) scan of the Chest radiology procedure Performed? The patient is moved rapidly through the scanner. 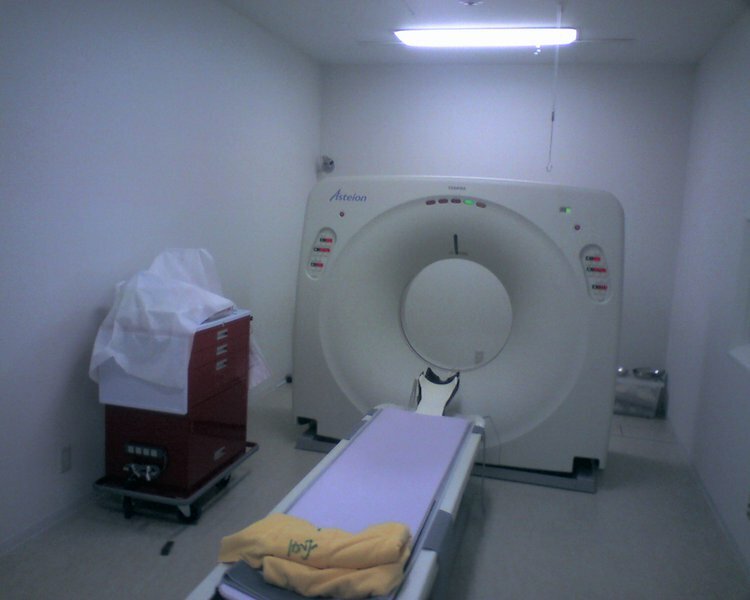 A CT Chest scan is performed as an outpatient procedure, at a hospital. A CT Scan of Chest is usually done by a radiology technologist, under the supervision of a radiologist. The Computed Tomography - Chest procedure will take about 30-60 minutes. The interpretation of the Computed Tomography - Chest results is done by a radiologist and results are sent to the patient’s family physician. A physician will request your consent for a CT Scan of Chest procedure using an Informed Consent Form. What are the Limitations of the Computed Tomography (CT) scan of the Chest radiology procedure? MRI is recommended over CT scan for conditions related to soft tissues, tissues around the joints, etc. What is the CT Scan of Chest procedure? What is to be expected during the Computed Tomography (CT) scan of the Chest radiology procedure? There is no pain involved with this procedure. No anesthesia is given during the Computed Tomography - Chest procedure. There is no blood loss involved during the Computed Tomography - Chest procedure. What are the possible Risks and Complications during the Computed Tomography (CT) scan of the Chest radiology procedure? What Post-operative Care is needed at the Healthcare Facility after the Computed Tomography (CT) scan of the Chest radiology procedure? There is no postoperative care necessary after the CT Scan of Chest procedure, at the healthcare facility. What is to be expected after the Computed Tomography (CT) scan of the Chest radiology procedure? Generally, no complications or side effects are observed after the Computed Tomography (CT) Scan of Chest procedure. If the patient is experiencing an allergic reaction from the contrast material ; then, do contact the physician. However, a CT Scan of Chest may be performed with or without using contrast material. What Post-operative Care is needed at home after the Computed Tomography (CT) scan of the Chest radiology procedure? There is no postoperative care necessary after the Computed Tomography - Chest scan, at home. How long does it normally take to recover fully, from the Procedure? The patient needs no recovery time after the Computed Tomography - Chest scan. No tissue is extracted from the patient during a CT Scan of Chest. Who will you receive a Bill from after the Computed Tomography (CT) scan of the Chest radiology procedure? The patient is advised to inquire and confirm the type of billing, before the CT Scan of Chest is performed.